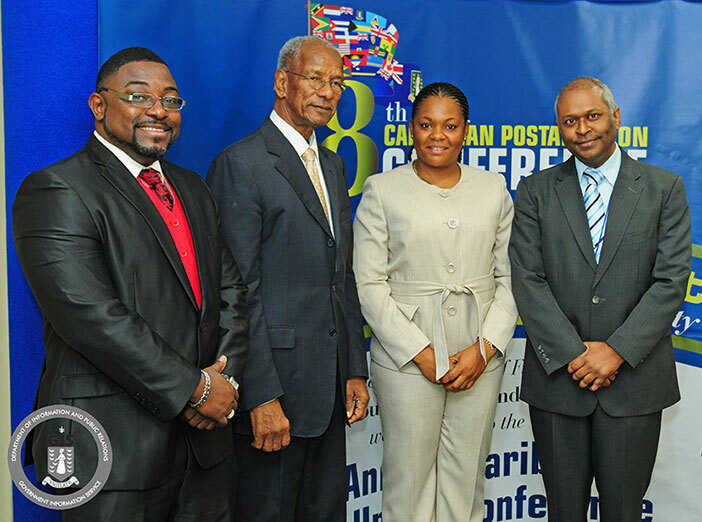 More than 55 regional and international postal administrators have gathered to discuss the future of postal services at the 18th Caribbean Postal Union conference being hosted in the Territory. The conference is being observed under the theme: “The Future Post – Postal Harmonisation and Sustainability” and will run from September 14 to 18. Premier and Minister of Finance, Dr. the Honourable D. Orlando Smith, OBE in remarks at the opening ceremony, said that postal administrations are essential as they provide a link between nations across borders at the most effective rates possible, act as facilitators for intra and international trade, and provide business services to the farthest corners of the world. He added that despite the fact that there are advanced telecommunications systems in the more advanced territories and nations of the world, the post has remained relevant. The Premier said that in this era, there is also the threat of heightened global terrorism, and governments must recognise that postal administrations have relevant roles to play in national security, as they serve as an avenue through which goods are moved across borders. In spite of the challenges faced by regional and international postal services, Premier Smith stated that the British Virgin Islands has taken a proactive stance to ensure that the integrity of the Post Office’s mandate is not compromised, and that the Territory is not being used to facilitate the movement of controlled and illegal substances or firearms, ammunition and explosives, into and through the British Virgin Islands. Secretary General (Interim) of the Caribbean Postal Union, Mr. Reynold Baldeosingh and Postmaster General, Ms. Pascha Stoutt also delivered remarks at the opening ceremony. The CPU provides a platform to plan, address regional issues, coordinate regional postal activities, and provide technical and operational support for Post Offices in the region. The conference will include the Universal Postal Union Regional Strategy Conference and the Council of Ministers of Postal Affairs meetings. 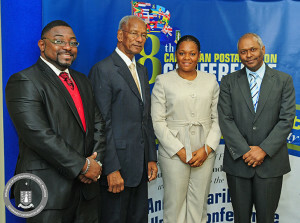 The Caribbean Postal Union aims to improve the response to customers’ requirements for postal facilities and services of all kinds; to facilitate the improvement and security of postal services; to co-ordinate postal training arrangements and postal operational services; and to promote international postal cooperation in the spirit and observance of the Acts of the Universal Postal Union. Member states of the Caribbean Postal Union include Anguilla, Antigua and Barbuda, Aruba, Bahamas, Barbados, Belize, Bermuda, British Virgin Islands, Canada, Cayman Islands, Cuba, Dominica, France, Grenada, Guyana, Haiti, Jamaica, Montserrat, Curacao, The Netherlands, Dominican Republic, St. Kitts and Nevis, St. Lucia, St. Vincent, St. Maartin, Suriname, Switzerland, Trinidad and Tobago, Turks and Caicos, United States and United Kingdom.